Joanna Goddard has been interviewing American women raising their children in other countries, to hear how motherhood around the world compared and contrasted with motherhood in America. She's talked to parents in Norway, Japan, Congo, Northern Ireland, Mexico, Abu Dhabi, India, England, China, Germany, Australia, Turkey, and Chile. We wanted to hear from these individual mothers about their particular experiences, but of course everyone’s impressions, circumstances, social-economic levels and lifestyles are different, so these interviews are in no way meant to explain, describe or reduce entire cultures. (I can’t imagine if someone tried to explain America as a whole!) These interviews are more about women’s personal stories and observations. 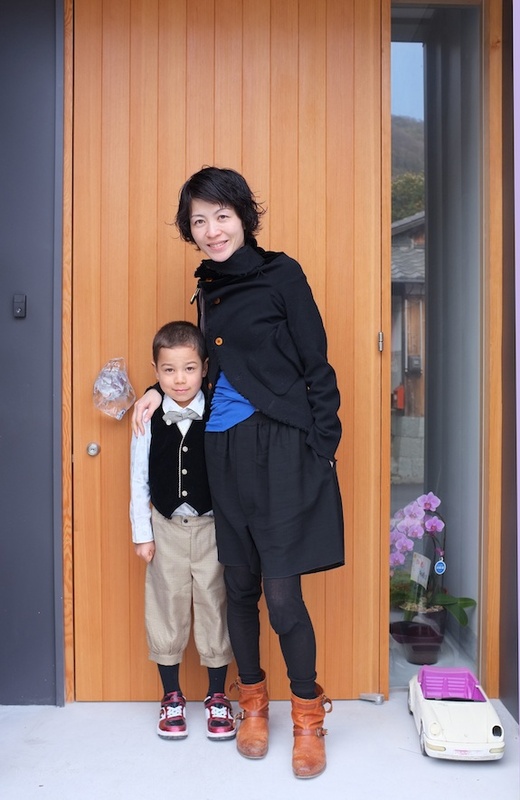 There's also an interview with mothers who moved to the U.S. from abroad. A coworker told me that once, at a UN conference, a woman from a non-Western country asked her "hey... is it true that Americans keep their babies in cages?" And she was forced to answer "well, yeah, I guess we do actually!" They spend a ton of time outside, mostly playing and exploring nature. At some Barnehage, they only go inside if it's colder than 14 degrees. They even eat outdoors—with their gloves on! Last time I visited my relatives in Norway, they taught me the saying “Det finnes ikke dårlig vær—bare dårlige klær.” (“There's no bad weather, only bad clothing.”) And it's true: in the middle of a torrential rainstorm one day, their kids decided to go play outside. So they pulled on their rain coats, rain pants, rain hats, and rain boots, and ran out to play on the swings dressed like a crew of well-equipped fishermen. I can only really comment on the posts for countries where I have been parenting (Australia, England and Germany) and while I would quibble with one or two points, these are really very good. Of course these are quite a specific socio-economic class writing about their experiences, but the blogger states that in her intro. As someone who is doing the ex-pat and parenting thing, and will continue to do so for quite a few more years, I would say that the 'parenting thing' really does add a whole new layer to being an ex-pat/immigrant/outsider. Huh, the Chilean one was more positive than I'd have expected. Natasha seems very open-minded. ...if there is a baby crying on the bus, all the women on the bus shout, "Feed the baby! Give it the breast!" Wow, I am loving the hell out of this series. It's just so... freeing to be reminded of all the "right" ways to do things. These kids eat an amazingly wide variety of food (including huge snails), those ones eat the same cheese on the same bread for lunch for their whole lives. My kids will be JUST FINE. The photos and much of the text in the Norway link seem to be about Norway in the 1970s or early '80s. Except maybe the prices for brown goat cheese. That Fløtemysost you like is going to come back in style. Call me limited in perspective maybe but...between the 122-degree heat, the rampant fast food, the mandatory body-waxing AND conservative Muslim dress, the mega-malls and the lack of public school for expatriates, Abu Dhabi sounds like the worst of all possible worlds for moms. Those look like modern ski bindings, not the old three-pin bindings from the 70s and early 80s. I'm not a parent, and I've really been enjoying this series. It's been eye-opening comparing these experiences to typically "American" style of parenting and the expectations of American culture. Not being a parent, I'm definitely not in any kind of place to judge or comment, but it's definitely made me think. And where it's REALLY made me question everything is pregnancy and childbirth itself. True, but the whole thing seems to delibarately make it more quaint or exotic than modern reality would warrant.. Fascinating to read an American view on living in England. As an Englishman who lived in America and now spends large parts of my time in America, I've always struggled to integrate for the inverse reasons Erin Moore did in England. So, I'm just supposed to ask the Americans I don't know in the office if they want to go for coffee and then I'll make American friends? Balls, I don't even like coffee. It sounds perfectly awful. I hear that mom trying to look on the bright side, but she sounds miserable. I read this series as it was posted but I'm really glad to see it here because it reminded me (I can't believe I had forgotten!) that there is a guy in the world with the first name McSean. McSean! It's like how 'tea,' as a meal, doesn't actually involve compulsory tea drinking. "Going for coffee" just means "socializing in a place where coffee is sold." Photos of Atatürk (the first president and founder of the modern Republic of Turkey) are EVERYWHERE in both public buildings and people's private homes. His name means "father of the Turks," and it’s a crime to insult his memory. We thought about getting a cat and naming him Catatürk, before we realized that might actually be illegal. That's one of those sayings, like "If you don't like the weather in [this city], just wait five minutes," that pretty much everywhere claims, as far as I can tell. Not here- here it's, if you don't like the weather, just wait six agonizing months! I hear that no bad weather, only bad clothes thing around here regarding biking, but so far no one has solved the glasses problem for me. I should probably go back and ask my mother about being an ex-pat parent, but maybe I don't need that much stress in my life. We lived in Germany when I was a kid and she hated everything about it. We were a very typical middle-class American family and some of the minor differences in culture just sent her in to a blind fury. In a way it was a shame, because it meant that we didn't try to integrate ourselves in to the culture as much as (in hindsight) I think I would have liked to. I think the one thing the loved the most was being able to take the dog just about everywhere. Hell, that damned dog got boarded in a no-joke castle when we couldn't bring her on trips. At which point you can start hating the new weather. Oh, and forgot to say - I always find it jarring to read people from the US being AMAZED when people in other countries can take two weeks (or even four!) off work to take a holiday with their family. I have lived in various countries, and this is so the norm, it is strange to think it is not in another 'developed' country. Then again I also find it jarring to read about people in the US who think they are 'lucky' when their stay in hospital for stuff like having a baby or an operation that was not optional for their survival cost them less than 'thousands of dollars'. Don't get me wrong, there is a lot that seems great about the US, but sometimes it seems to be missing a lot of the markers you would require normal for a modern developed society. I'm in the UK and I've been to the local playground a couple of times in the pouring rain with my kid in his all-in-one waterproof. The normally-rammed playground was completely empty except for us. No waiting for the best swings! It was awesome. It didn't read that way at all to me. She had a lot of positive things to say, as well as acknowledging the things that made it a relief to have left Utah. She seemed very clear-eyed and aware of both the good and bad of where she was living, and the ways it impacted her as a woman and mother. I loved the women and kids I met in Cote d'Ivoire, which seems to have an attitude towards parenting that is in some way similar to DRC. My closest friend there had twins (unexpectedly - no sonograms! She just kept getting bigger and bigger and bigger and bigger and then two babies eventually popped out). For the first few days after they were born, she basically leaned against the wall with a baby attached to each breast, asleep on her outstretched arm. But childbirth there was dangerous and hard, even if you could afford to go to the hospital. Another friend's husband saved up and sent her to the hospital in the capital, Abidjan, to have her baby, and he ended up having severe shoulder dystocia and has pretty dramatically affected use of that arm - which is a problem in a place where he's almost certainly supposed to end up practicing subsistence farming. I didn't know anyone who died in childbirth, but I did know two women who lost their babies in the year that I was there. And Cote d'Ivoire is very, very developed compared to a lot of the DRC. A lot of the social life of the village was stuff I really loved. But being a mother who doesn't have the resources of the two ex-pats (who sounded awesome and very cognizant of all of this) is an incredibly challenging and difficult prospect. Even if it means that people complement your weight gains (which are attractive at least in part because they are rare). One small thing about the Norway article: It's true that everybody works, but we also get five weeks vacation to spend with our families each year. And we don't really do unpaid overtime, internships, 60 hour work weeks and all that crap. I've got three kids, and for each of them there has been a local "maternity group" of babies born around the same time, so you have someone who stays at home in the daytime to socialize with. Otherwise you'll go slightly nutty spending months upon months at home alone with baby. I remember a bus trip with my mom through Central Vietnam when she had just been so ill she was completely dehydrated and could barely hold my sister. The yelling totally happened, and it terrified me because I thought she was going to die and that these women would take me away. She also got yelled at because I was too skinny, for trying to get my dad to do any kind of childcare, and for insisting that I go to school with my brothers. An extreme case, perhaps, but in generally yelling at moms in order to enforce parenting norms gives me the heebie-jeebies. I like the Germany article - the bit about kids being encouraged by kindergarten teachers to fight back and reclaim their own toys! The photos from Japan are all very recent, but the life she describes is totally unlike the lives I see around me. It sounds like Japan of decades ago. Perhaps it's a difference between city and country life, in which case it really, really sounds like she needs to get out of the country. It's kinda like if someone moved from Tokyo to Hicksberg, Texas and wrote about how "unlike Japan, people in America ride horses to work, and nobody eats quinoa or organic food". That sounds a lot like the comments made above about the Norway article. Maybe the issue is that writing this type of article leads one to emphasize the differences and exaggerate cultural differences. I agree with Bugbread. That article sounds so unlike my own experience that it's like I'm reading about a different country. Also, she's not even American. I really doubt she's surprised about any of the things she talks about if she grew up in Japan until she was 21 years old! I think my general dislike of Japanese people who have experience living overseas coming back to Japan harping on about the cultural differences they can't get over is showing through here. My problem. Maybe I'm just jealous of her gorgeous house. I too am jealous of her house. It's kind of ironic too that I live in a bedtown in Kanagawa (basically Tokyo exurbs) while she lives somewhere out in the country and yet I am the one who is a member of two different co-ops (!) and always knows, often down to the city, exactly where my produce comes from and whether it is organic or not. They even have a special phrase for setting the table: dresser la table. Also she's talking a lot about how the genders are separated, which might explain how you experience things differently than she does. What's up with the Japanese doorknob? Anyone know? It's on the left side rather than the right, which I rarely see, but also it seems to be a plastic bag full of water. Except that the separation isn't as absolute as she makes out, and I'm thinking mainly of stuff she says people don't do in Japan, but I see happen all the time, or my wife talks about as happening all the time. For example, we'll be in the cereal aisle at the market when the wailing and tears begin. Up walks a nice lady with armful of groceries. She doesn't pay me any notice, or shoot me any dirty looks. Instead, she bends down, looks my son in the eye, and says in her sweetest Northern Irish accent, "Ach, son. Now why you carryin' on so? Look at yu'r Mummy. She's so sweet, and she's waiting for you to stop, so she can finish buying you food, so she is." WOW. That would SO not be tolerated in the U.S. I dared to smile and say, "Excuse me" to a kid who was lying on the floor across a supermarket aisle, pulling things off the shelves, and I was without-a-doubt sure that his father was going to do me physical violence once he stopped chewing me out, if I had been any slower getting away. Nothing about the Australia post strikes me as wrong as such, just incredibly clichéd. Maybe it's just because I'm not from Sydney. Some of it was cliched, but it was refreshing to read someone pointing out that actually Sydney is really expensive, and people work hard, and actually it can be hard to make friends in Australia (as an Australian living abroad, I can tell you this is the opposite of many people's cliched ideas of life in Australia). And I am not from Sydney either. The corpse in the library, I live in England my door opens like that too. So do my in-laws. But then I realized in the US ours always opened on the right. How did I not notice this before! If the door opens with the handle on inside on the left, how are you supposed to guard against intruders with your longsword in your right hand? Are you all lefties in the US? We just shoot through the door without opening it. It's to make it easy for the SWAT teams to bust into our houses with their swords drawn, I'm pretty sure. Our doors just open whatever way works best, so that it doesn't get in the way when you are trying to use it. Pretty sure most other places would be the same if you check.